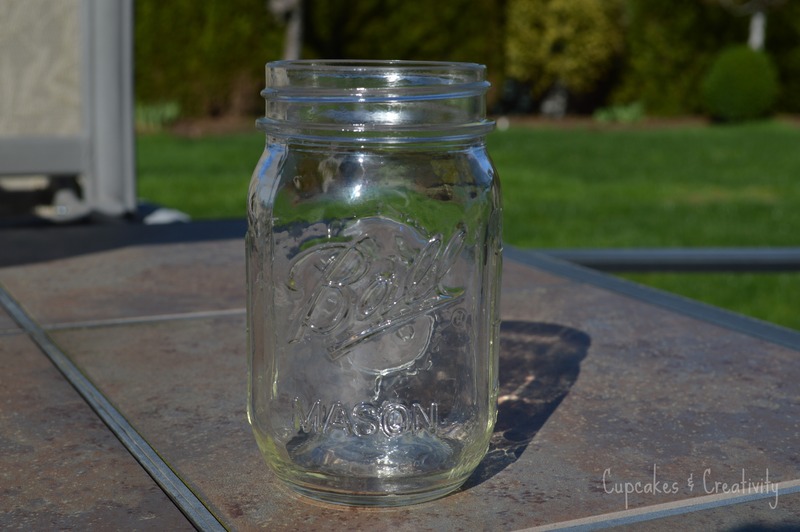 If you’re going to do a project with mason jars, you should probably have some mason jars on hand. I didn’t have an empty pack at the time that I did this trial run so I just went into the pantry and found this brand new, sealed jar of dark chocolate covered cranberries. What did I do? I transferred the contents into another jar and washed the jar out! There, that’s much better! Now let’s get some paint. 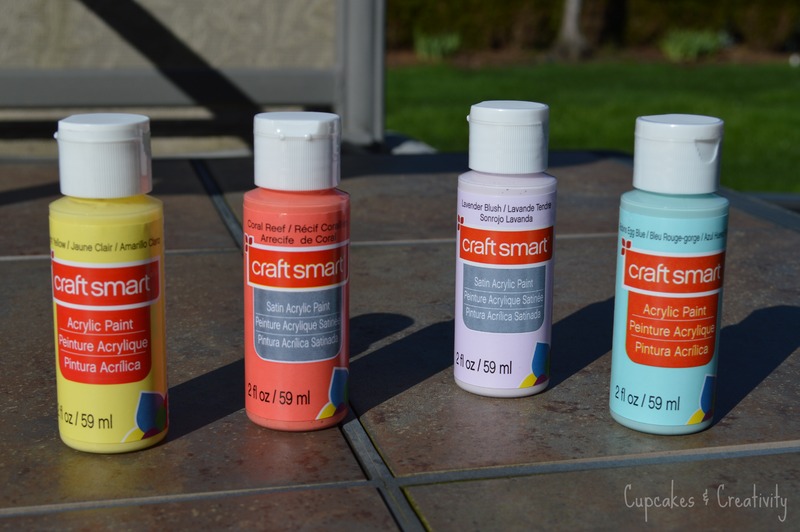 You can find all sorts of acrylic paints at craft sorts. I’ve found that the cheaper alternatives are fine to work with – they’re all water based anyway. I bought two satin finishes and two normal matte finishes. You can use a brush if you’d like, but I recommend softer bristles to avoid the streaks as much as possible. Or you can use a foam brush, which is what I had on hand. Paint thin layers at a time. It will be streaky, but by building up to about three coats of thin paint, it will be pretty smooth. We’re going for a rustic look anyway, so it doesn’t have to be perfect. This is after one messy coat of ‘Robins Egg Blue’. 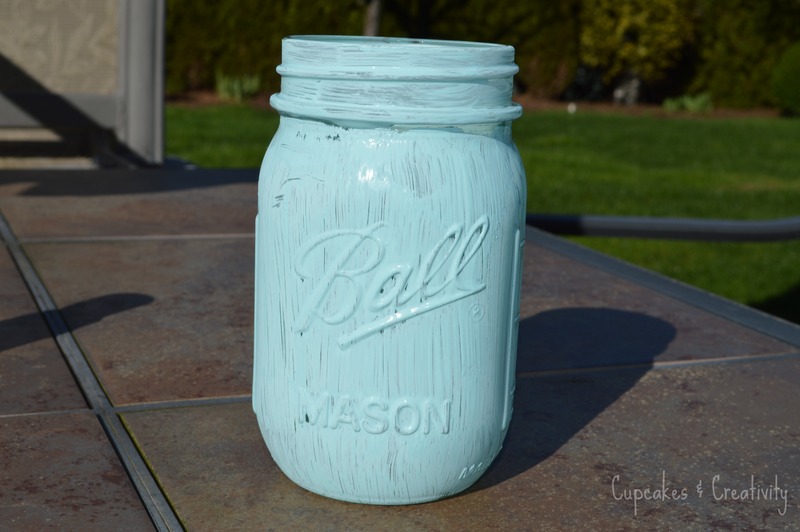 Don’t forget to paint the bottom of the jar! After you paint a few more thin layers, take coarse sandpaper and lightly rub over the raised letters and in random spots around the jar. This is what creates the rustic effect! I really like the look that it creates, especially on the ‘Ball’ logo. Make sure you put some newspaper underneath to catch all the particles! While I was at Michael’s, I picked up some fake flowers that were on sale. This particular bunch was only $1 so I decided, why not? I’m typically not a fan of fake flowers but who can always have fresh flowers for decoration? These don’t look horribly fake from a distance…heh so I decided to get them. Here you can see I cut the flowers at different lengths so they look a bit staggered. I’m planning on keeping three flowers in two jars and using the third as a pen or makeup brush holder. 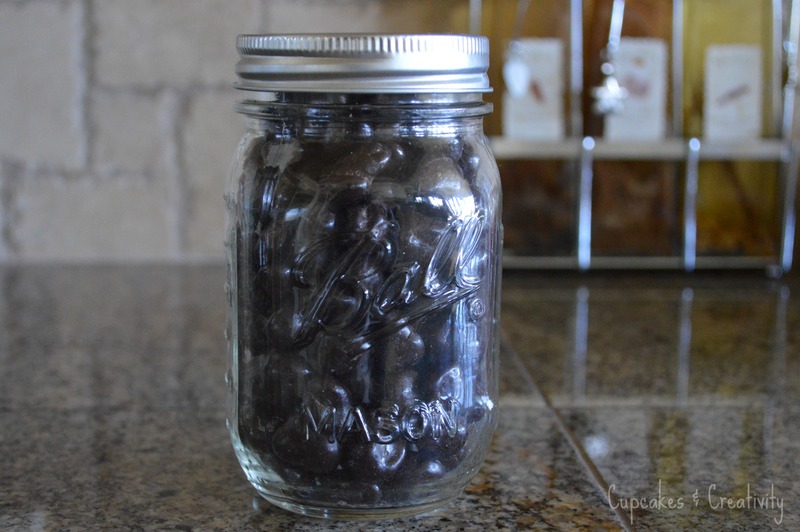 What’s your favorite way to use mason jars? Thanks for reading everyone! Can’t wait to do more DIY projects and to share them with you all :) If you want to check out some of my DIY prospects, check out my Pinterest board here.